Happy Friday my friends. Our trees are down and our snowflakes are up! 'Downton Abbey' is back on and well, if that's not a happy thing, I don't know what is. See our soup up above? The easiest thing ever. 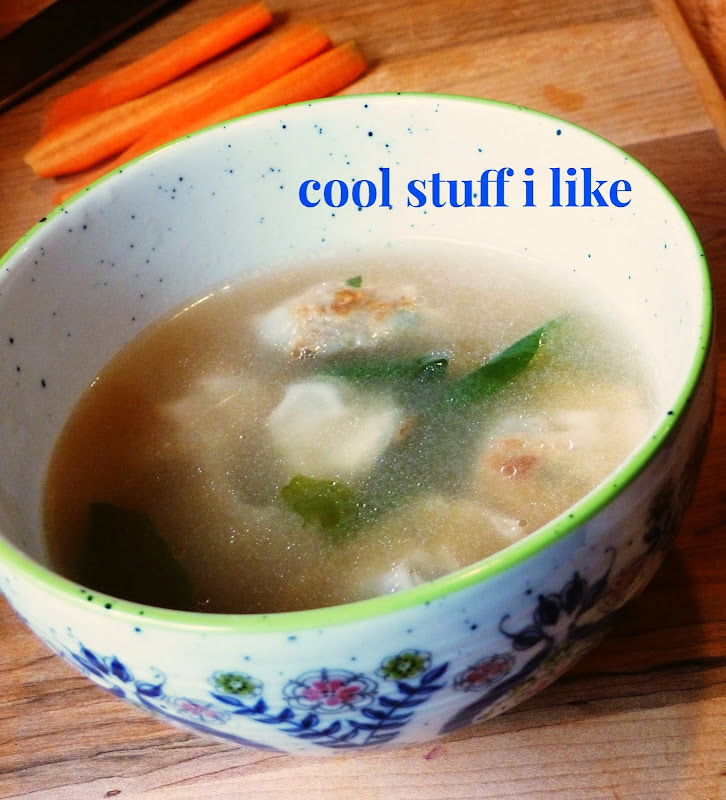 I took Trader Joe's mini chicken wontons and cooked them. Then warmed up some chicken broth, added a splash of soy sauce and some baby spinach, and then threw the wontons in. 5 minutes for Julia's lunch while she was on winter break. I've decided that I now love January. I used to hate it, but now I love the calm, and the fact that it's the time that I do the baking and the projects I didn't get done in December. December seems kind of too crazy to me now, it's this mad dash to December 25. I'm not a good dasher, I've decided. I love spaghetti, did you know? It's my favorite food. I want to try this recipe. Unicorn garlands. I think I would like these all over my house. Jars of sprinkles....love this. Great party favor methinks. Andrew found this site for me ~ all things Moomin!! JENNY'S DOWNTON RECAPS ARE BACK. (and I have a very lengthy comment somewhere in the comments section. I don't know what's better, the actual show, or Jenny's recaps. They both make my life SO HAPPY. Somehow I came across this article. ???? Wedding rings on a baby's TOE? ?????? I would like, however to figure out how to put babies in teacups. That sounds awesome. 11 Things You Aren't Cleaning, But Should Be. Do you read this blog? Another brilliant article. 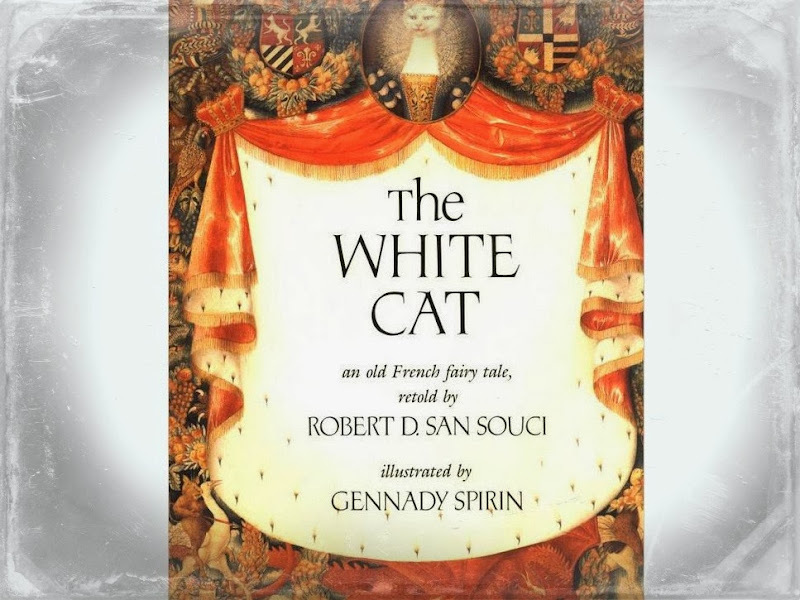 Cool Book of the Week: So somehow I stumbled over 'The White Cat' online, and I read a bit about it, and supposedly this is just the most enchantingly illustrated version of this fairy tale. It's also out of print, but available used ~ for a price, I tell you. (hey, my job here on my friday posts is just to let you know what's out there. sometimes it will be easy peasy, sometimes it will involve effort and/or cold cash. ha ha.) I dug around a bit and found it available for $25 on ebay, and it starts at $19 for a used hardcover on Amazon. Not too bad. Anyway, this looks very collector worthy if you're into fairy tales. I adore this particular fairy tale, I think it's a great great story with which a lot of folks are unfamiliar! Have a lovely weekend! I'm going to learn how to make Scandinavian cardamom bread from a friend's mom. I'M SO EXCITED!!!! and please no more alien eyes and overly Photoshopped skin....it's so weird! I need to clean the walls and moldings! And the blinds and the keyboard, and omg so many things! I have to watch Frozen one day... Just can't get out of the house without the baby nowadays so that will have to wait for the DVD release! I would love to read that White Cat story! I am sure I read it sometimes ago in my childhood! Have a great weekend! Oh, the dresses and lashes on the Frozen dolls! I've seen them before, and yeah, I'd love them, if I won them or something. Regarding that list: #1 is cute, #2 is EWWW!! !, #3 is funny, #4 would be funny if I could handle the Olsen twins, #5 we've watched those ourselves (thanks, Disney Roku channel! ), #6 wtf? funny!, #7 is whatever, and #8 is USSSSSS!!!!! Hahahahaha! Ahem. LOVE the Moomin site! I'm making boring, non-spicy spaghetti tonight actually. I cannot believe I missed that list of Mallory's. WOW. So much checking the library, adding to Amazon wish lists RIGHT NOW. Okay, so many of those photography ideas are Anne Geddes rip-offs. I know, because I have a used Visa gift card with an Anne Geddes "baby in a flower pot" picture on it sitting right in front of me. (Oh, and I used to work in a book store, even stocking the calendars. I've seen 'em all!) And the senior picture on the RR tracks looks great, but as the wife of a RR conductor, it scares the crap out of me. Most of the things on the should-be-cleaning list I was aware of, but really, there's a whole lot more things I should be cleaning but I'm not. I'm just a bad housekeeper! Do love the Momastery article. Now, I have to close some windows so my low-memory computer will allow me to print some unicorns! Happy, happy weekend! Personally, not to slam this style, oh well I guess I'll slam it -- I am so over the hazy, dreamy, baby on a sheepskin newborn photo. I just....don't want to see that photo anymore! Mallory has amazing book taste and all her picks are awesome, but that list....wow that one was extra incredible I thought! I like any kind of spaghetti, boring or otherwise! off to look at my library as well! That Glennon, she's a pretty smart lady. Whoa. I've seen many of those pictures before. SO need to see Frozen.